No 124Eo Preah Monivong Blvd (93), Phnom Penh, Cambodia. Tel: 092 711 771 or 093 711 771. 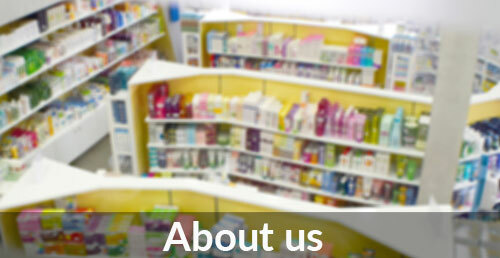 Email info@pharmacie-delagare.com. 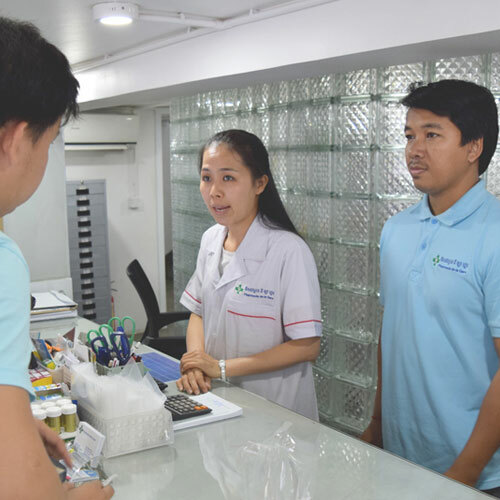 No 124Eo Preah Monivong Blvd (93), Phnom Penh, Cambodia... 092 711 771 or 093 711 771... info@pharmacie-delagare.com. 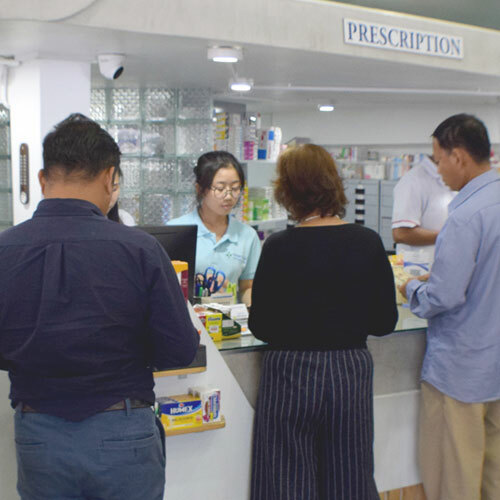 Established in 1994, the Pharmacie de la Gare remains dedicated to serve Phnom Penh's population as well a growing clientele located in the provinces. 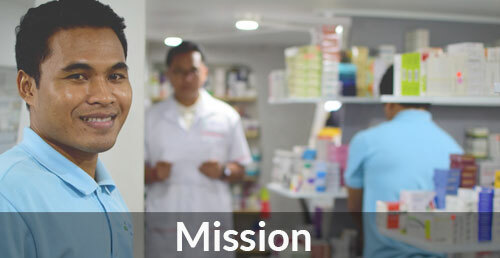 True to its philosophy, Pharmacie de la Gare aims to provide good care and health counseling with qualified pharmacists. 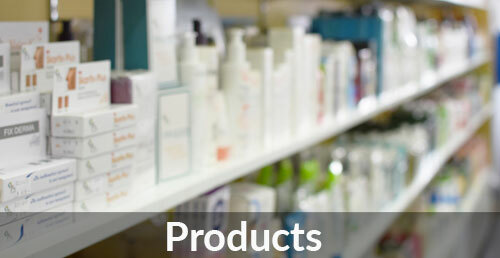 It offers a wide range of high quality medicines and para-medical products. 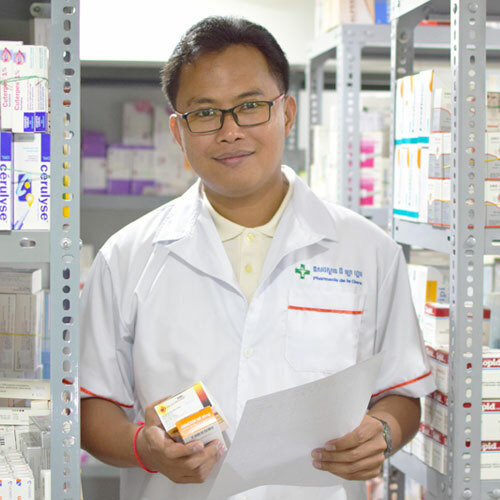 In September 2016, the pharmacy rejuvenated its facility with a modern touch, better technology, an even wider range of medicines and products from leading brands and improved the training standard of our staff. 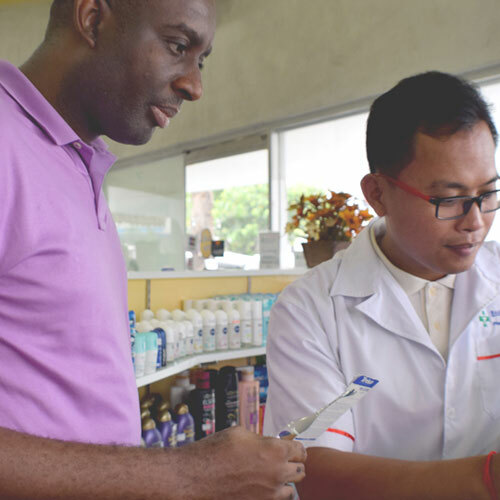 To serve our loyal clientele faster and more efficiently, at least 2 fully qualified pharmacists on duty at all times working with a supportive and attentive health team and interns to look after our treasured customers. 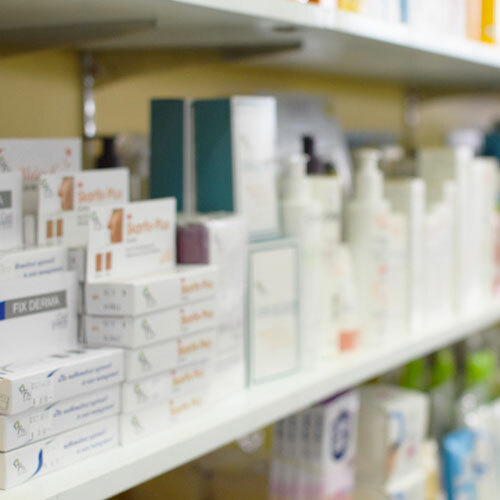 More than ever, the Pharmacie will continue to give its clientele the very best service and ensure that medicine prescribed can be purchased at once. 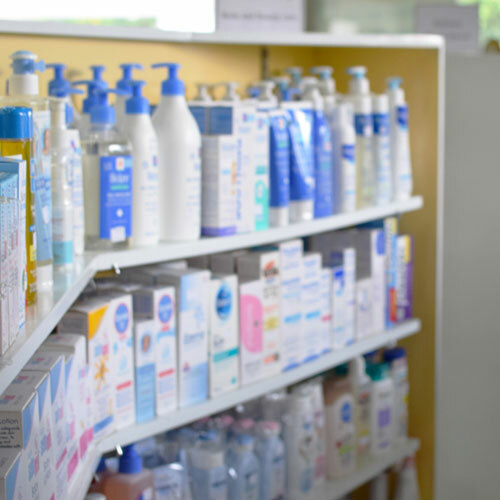 No need to shop around in different pharmacies because Pharmacie de la Gare has all the products and medicines for your health and health treatment. Quality international medicine which we carefully keep in its best condition. 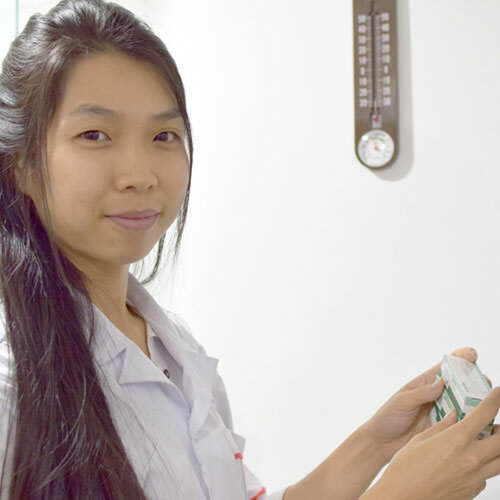 Fast efficient service from friendly medical interns. 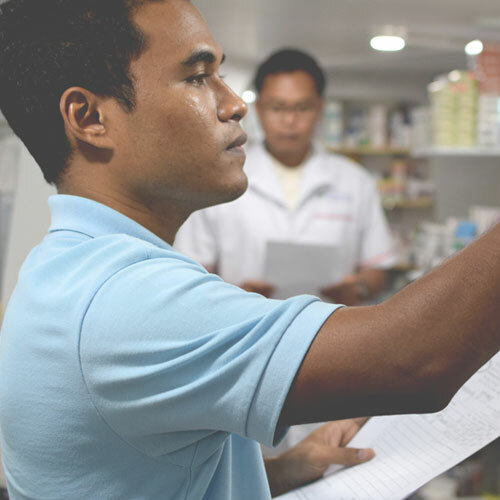 A guarantee that we will always have the exact medicine you need, and if we do not, we will find it and deliver it to you immediately. 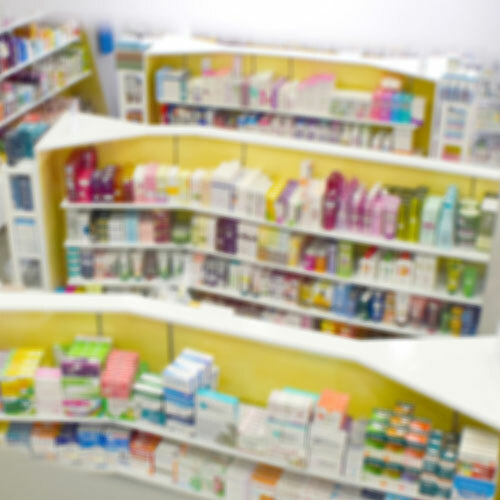 Pharmacie de la Garde is open 7 days a week from 7:30am until 7pm from Monday to Saturday, from 7:30am to 12pm on Sunday. We also provide a top service in the B2B arena, we can tailor-make your health prevention program. Knowing that your corporate organization needs to meet a full compliance requirement, we can help you on some of the Health and Safety prerequisites. 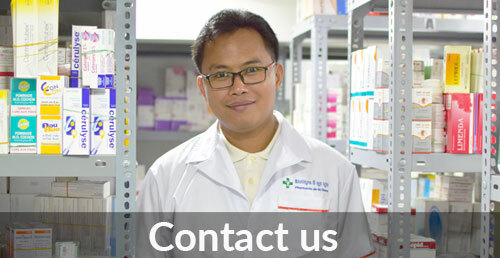 Contact us for more information at our hotline numbers or email info@pharmacie-delagare.com. 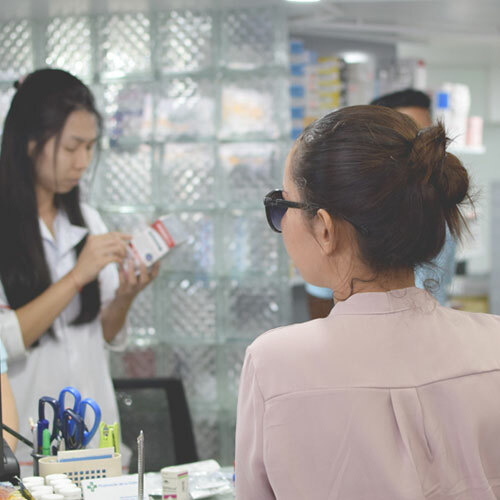 We pride ourselves on the fastest prescription delivery in Phnom Penh and guarantee our products are in premium condition. We only source from the best brands in the world so you can get the best to treat your health. Your well-being is our number one attention. We are pleased to inform we can deliver your medical to your home or office. No more driving in the traffic and heat, we can bring good health at your doorstep. 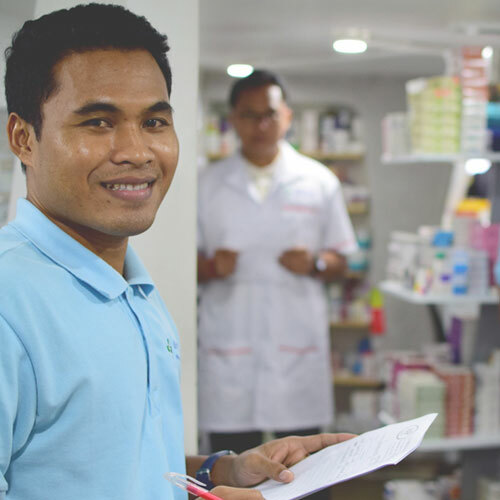 At Pharmacie de la Gare, we are doing our best to serve you better. • For delivery less than 10$, there is a $2 service charge. • For purchase over $10, there is a $1 service charge. • For purchase over $25, the delivery is free of charge. This special service charge is for our clientele in Phnom Penh and outskirts, for our clientele based in provinces please contact us. We have a professional team to welcome and serve you. 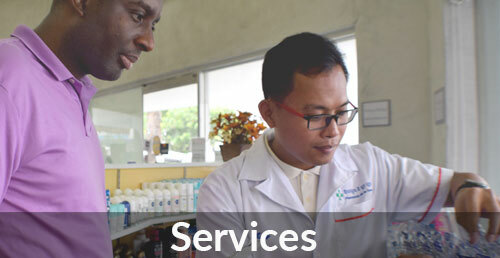 At least two experienced pharmacists are on duty at the counter to meet your needs at all times. Our team speaks Khmer, French, English and Chinese. Our range of internationally renowned products are all certified and double checked for condition on arrival. Preservation, conservation is our motto. It is important that we offer you the best product and it has been well-preserved before usage. Indeed, good condition means good results and care. 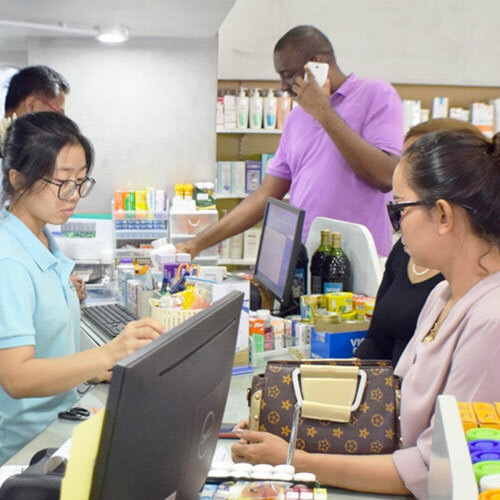 You can find Pharmacie de la Gare at No 124Eo Preah Monivong Blvd (93), Phnom Penh, Cambodia. Tel: 092 711 771 or 093 711 771. Copyright © Pharmacie de la Gare. No 124Eo Preah Monivong Blvd (93), Phnom Penh, Cambodia.